Would you believe that Motorola has been trying to decide what to do with the Photon Q for like...some large number of months? It's true. 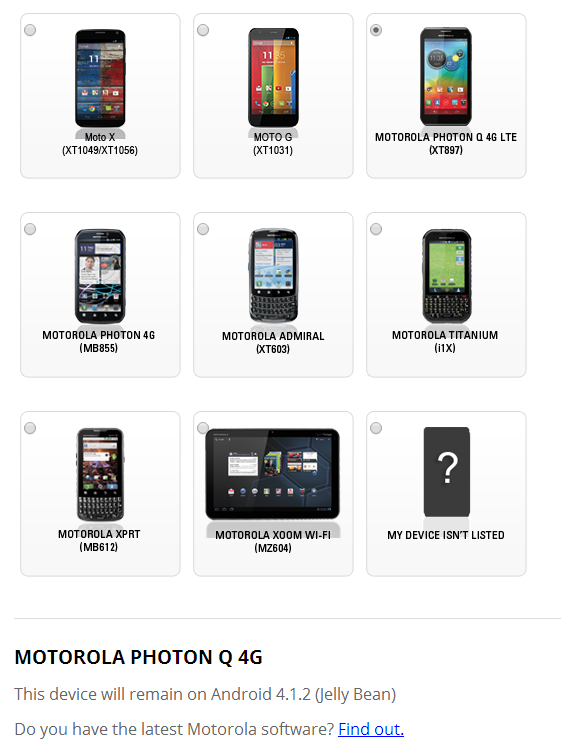 Up until today, the Motorola Upgrade Portal has been sitting steadily on "Future plan coming soon" for the poor ol' Q. Now, it has been updated to say "This device will remain on Android 4.1.2 (Jelly Bean)" – not much of a shocker there, really. 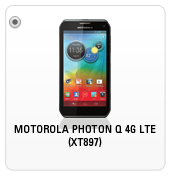 Oh well, at least folks who may still be using the Photon Q should be approaching the end of their contract at some point in the very near future, assuming the device was purchased shortly after it was released back in August of 2012. If not, well, I'm sorry.